Hi there! 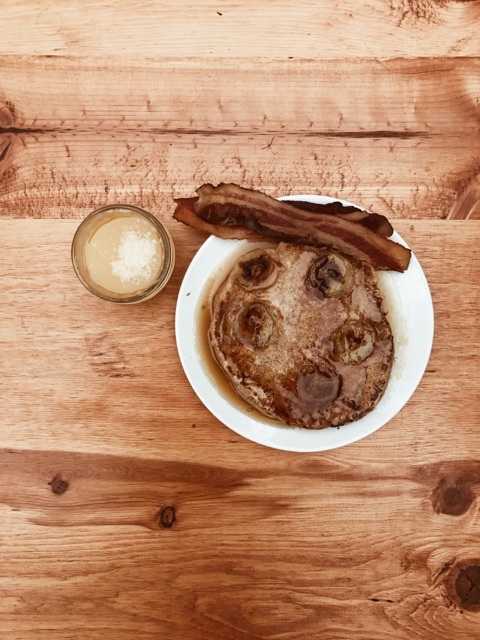 I whipped up these pancakes this weekend, and had to share the recipe with you all asap! They're slightly healthy (thanks whole wheat flour + greek yogurt! ), but also pack a sweet punch with caramelized bananas and honey butter. Get the how-to below! 1. 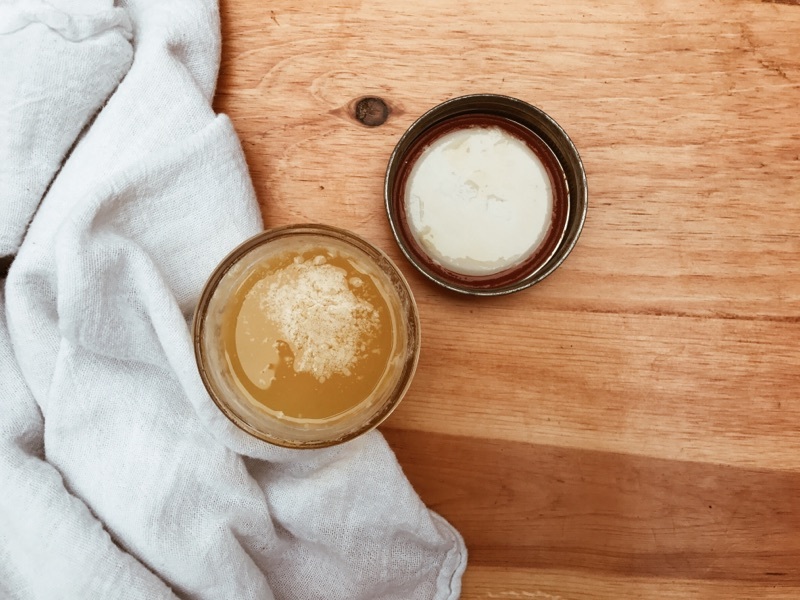 Melt honey and butter together by placing them in a bowl and microwaving for 1 minute. Stir together and pour into a jar. Let set in the fridge overnight (can still drizzle melted over pancakes!). 1. Combine flours, baking powder, sugar, and salt in a mixing bowl. 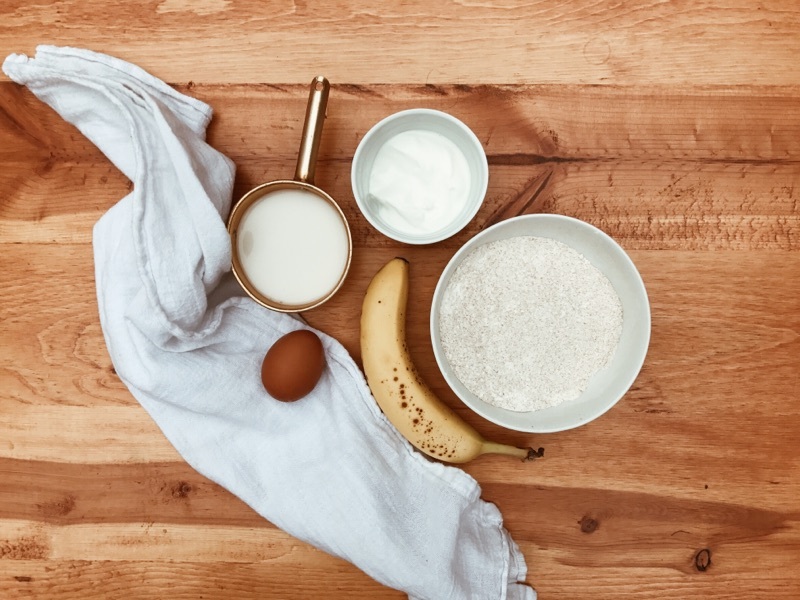 In another bowl, mix together milk, eggs, and vanilla extract. Pour the liquid mixture into the dry mixture, then stir to combine. Add in greek yogurt and stir. 2. Heat your griddle, and pour out your batter for pancakes. Slice your banana and place rounds on top of cake. Brush bananas with melted honey butter. Wait til the cakes are bubbling on top, then flip and let cook for about another minute, or until pancakes are browned on both sides. 3. 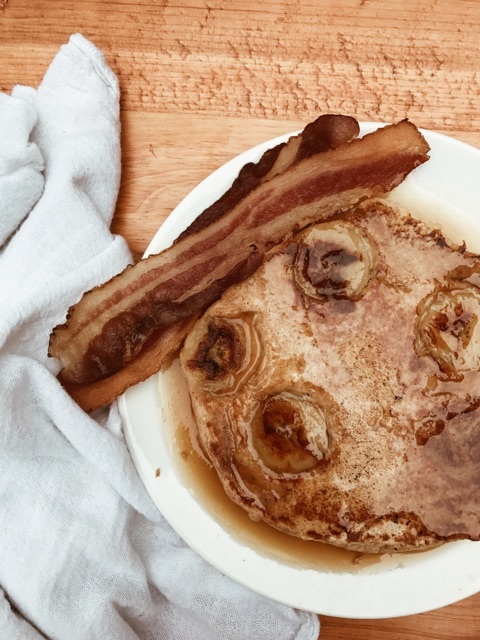 Serve warm with honey butter and maple syrup (and bacon, if you're so inclined). Enjoy!